Here we now digress to have a look at novelty radio circuits. 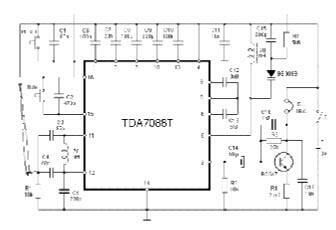 In the early days the radios were mw and lw and used transistors in a conventional superhet printed circuit. This entailed the use of relatively bulky IF and o/p transformers. 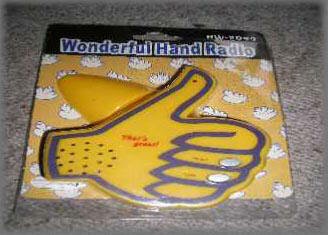 Because of this all novelty radios were restricted in their miniturization. In recent years the scanning receiver has been used in novelties. Now all transformers and bulky tuning capacitors are dispensed with. 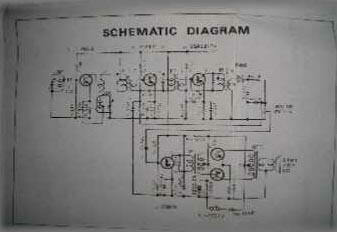 This photo shows on the left the old style of printed circuit design. You can see how the tuning capacitor (top right) and transformers etc take up much room. 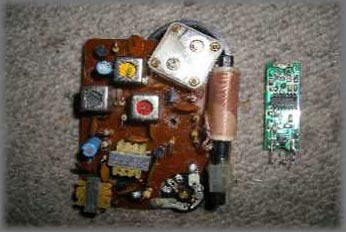 right is shown a modern scanning radio printed circuit. R and the s. Quite large at 10 inches long. A modern scanner radio, the molding of the chocolate pieces is nicely done. For such a small novelty it has a red LED on the side to tell when it is on. Chocolate style ear buds to complete the choc effect. chocolate bar, this novelty radio version is very rare..
Manual tuning and the same size of the choc bars. A scanning novelty with the loudspeaker in the palm of your hand and the finger tip controls at one’s finger tips! Complete with a small yellow stand and interesting hand drawings on the packaging. 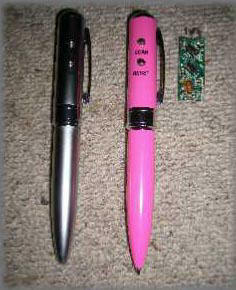 Because scanning circuits are so small now they can be installed into pens. Here are two with the PCB shown too. plugs into the pen’s top. You can just see the tiny earphone jack socket. 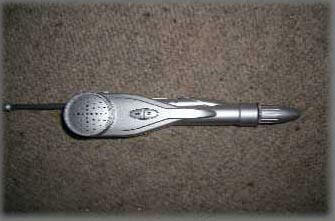 if you need a loudspeaker then this pen is for you. Not Hi Fi but you can hear it play. All these pens work as a pen too, having a biro retractable in the tip. All scanners here. What a bunch ! 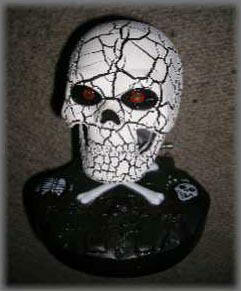 All the eyes flash and the heads wobble to the music. 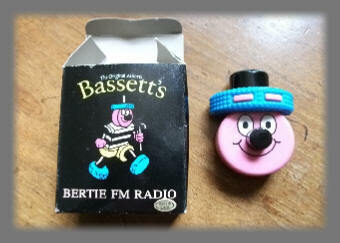 What more could a novelty radio collector wish for?...! 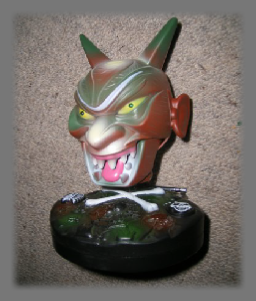 rocking novelties with assorted ‘characters’ to take your fancy. The boxes tell it all.